Hosted in the magnificent Manor House Gallery, Afternoon Tea at Adare Manor is a treat to remember, with a menu of delicacies lovingly designed by Executive Pastry Chef Xavier Torne. A glass of champagne is the perfect final touch an afternoon of elegant indulgence. 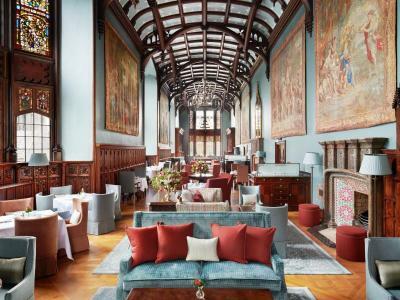 Your experience at Adare Manor also includes a deeply restful night in one of our gorgeously appointed guest rooms and another visit to The Gallery for an inviting and inspiring breakfast.